Well, I'm heading out tomorrow on yet another long weekend. This time the trip takes me to Dothan where I will address The Colonial Dames of The Seventeenth Century at the Dothan Country Club at noon on Thursday. I plan to remain in town until Sunday visiting with family and friends. Ya know I put all kinds of rock 'n roll stories on my blog and I've heard a couple about you.I'd love to have permission to post anything you write but a little bird told me you have some of Orbison's clothes. The story goes that Roy was a closet smoker and didn't want his wife to discover he was smoking. While he was staying at your place on Lake Eufaula, he left his clothes with you because he knew his wife would smell cigarette smoke on them if he took them back to Tennessee. I can reply to any stories about Roy being a closet smoker.He smoked Disque Bleu cigarettes when we worked together.Or at least when he could get them.Robert and John Rainey were the only non-smokers.I had a heart attack in 1988. Not long after that I went to a party in New York that was being thrown for Roy at the Hard Rock by,I think Bruce Springsteen.I hadn't seen Roy in quite some time and asked him "didn't you have some heart problems a couple of years ago"We talked for a while about life ,health, the passing of time,all the while he was puffin' away on the cigarettes.His wife was right there when he was smoking so I doubt that he was a closet smoker . Subject:Re: Buddy Buie: How 'bout a Roy Orbison story? I can add a couple of details to your account of the Roy Orbison clothes story. Roy came to my house outside of Doraville to write with Ronnie Hammond and me. He also loved a song Hammond and I had written called AWESOME LOVE and wanted to adapt it to his style for his upcoming recording session. I cherish those few days now since that was the last time I saw Roy. Roy laughing hysterically when I sang AWESOME LOVE doing my best Orbison imitation. The goosebumps I got hearing Roy sing our song. He died before he got a chance to record it. Roy going nuts over fried lobster and creme brulle when we went to Panos and Pauls. He said it was so good it gave him a nosebleed. Later Pano had that same dinner delivered backstage when Roy played Chastain Park. He loved it. Roy saying "throw these clothes away,Barbara doesn't know I'm smoking again" Later my wife Gloria washed them and they're still in my closet. My car breaking down on the way to the airport .We didn't have time tocall a cab so the wrecker driver dropped my car at a service station and took us to the airport in his wrecker. I can still hear him saying"my God it's Roy Orbison!" He had a legendary voice and a kind heart. All of us who knew him were blessed. On Jan. 8, there will be an increase in the price of a stamp for a first-class letter from 37 cents to 39 cents. I want our government to issue a stamp that commemorates one of the greatest singer-songwriters ever to come out of the South — Roy Orbison. He’s been gone for seven years and it has been a good four decades since I saw him perform live. But even now, his name evokes a sense of awe. What a voice! And image: The black stage outfit; the impenetrable, wrap-around shades; the high, jet-black pompadour, so out of place among the mid-1960s shaggy-haired singers at WBAM’s Shower of Stars in Montgomery. Everything about Orbison, in fact, was different. We didn’t really know what to make of him. But Orbison just stood there — magnificent, threatening, lonely, a dark wraith under the bright stage lights. His voice was astonishing, operatic, as full of drama and passion as “Gone with the Wind.” Sweeping through the seats and rafters, it rose like a storm surge, flooding the coliseum, drowning everything in its path. As the spotlight shrank to the spot where Orbison stood, that voice, cresting on a tide of primal emotion, was the only thing that existed. And then, before we knew it, the drummer lunged into a thundering four-four cadence; the guitarist — he played a green Fender — plucked out a five-note pattern; and the Shower of Stars audience roared with appreciation as Orbison, allowing himself only the mildest of smiles in acknowledgement, sang his current hit. By the time he growled — he sounded like a wild animal that had just made a kill — we were ready to riot. That was the end of his set. Nothing could follow it. Not “Only the Lonely,” “Crying,” “Running Scared,” “Mean Woman Blues,” “Falling” or “Crawling Back.” “Oh, Pretty Woman” was the one song of pure triumph in Orbison’s repertoire. Rejection, heartbreak, alienation — take your choice, Orbison had a song that nailed it. The man knew about fear and pain and living on the outside. So perfect, in fact, that the scene from the movie where Hopper weeps over the song as a floozy does a slow grind atop his car actually revived Orbison’s career. It’s a career worth commerating. He influenced the Beatles; when you hear Bruce Springsteen, you hear some of Roy Orbison. Like jazz trombonist Jack Teagarden, Orbison was born in Vernon, Texas. But he grew up in Wink, a west Texas oil village on Monument Draw. Flat, dusty and hot, Wink was as unlikely a spot as one could imagine to nurture a talent like Orbison’s. Yet it was there that he developed his music — and his image. He was 13 years old when he began singing with his first band, “The Wink Westerners,” writing songs and studying guitar. There are lots of stories about his sunglasses. One says he wore them because he was almost blind. Another says he left his regular glasses behind at a show, was forced to wear his prescription sunglasses on stage and they became an integral part of his image. The truth, I believe, is that Orbison wore the sunglasses for the same reason he dyed his hair — to hide the fact that he was downright west Texas ugly.Homely, a description used by some who have written about Orbison, doesn’t begin to describe him. He was flat-out ugly — so much so that biographer Ellis Amburn says he was a social outcast from an early age. He was “flabby, bottom-heavy with unattractive, unruly hair,” Amburn writes. Girls dumped him. Boys laughed at him. One of the local football heroes told him flat-out, “Your face looks like my a—.” Everybody started calling him “Facetus” thereafter. The hurt came out in his music — the rejection, the pain, the loneliness. Johnny Cash, passing through west Texas in the mid-1950s, heard Orbison’s band; impressed, he urged him to seek a contract with Sam Phillips, for whom Cash recorded. Shortly afterwards, Orbison dropped out of college, where he was studying geology, and headed to Memphis and Sun Records. At first, even Phillips rejected Orbison. “Johnny Cash doesn’t run my record company,” he snapped at the young Texas singer and hung up the phone. Orbison persisted and finally got his foot in the door. He had some success at Sun and he wrote a popular song for The Everly Brothers, “Claudette.” But the big hits didn’t come until he moved to Monument Records in Nashville in 1959. When I saw him in Montgomery in 1964, Orbison was on top of the world. There was no way he could see the new wave of pain that loomed for him just over the horizon. It hit like a devastating tsunami. Claudette, to whom he had been married for 11 years — the inspiration for “Oh, Pretty Woman” — was killed in a 1966 motorcycle accident. Two years later, while Orbison was on a tour of England, his house in Hendersonville, Tenn., burned to the ground. Two of his young sons died in the blaze. Though he continued to perform and record — his voice was as singular as ever — it seemed that his heart just wasn’t in it. He dealt with his personal pain by becoming increasingly addicted to sleeping pills, amphetamines, cocaine and fast motorcycles. Go to sleep, everything is all right. That unearthly voice, flooding the movie houses just as it did the coliseum more than two decades before, remained magical, riveting, even in a context of apocalyptic ugliness. Once again, the spotlight was on Orbison. In 1987, he was the centerpiece of a televised tribute concert featuring disciples such as Springsteen and Elvis Costello, who had absorbed Orbison’s angst like a sponge. People did care. The cool man in the dark shades was suddenly a hot property again. Orbison, after all those years in exile, was back. Riding his new wave of popularity, he returned to the studio as a solo artist, recording a terrific comeback album, “Mystery Girl.”But the whole year that opened so brilliantly for him ended in tragedy. He was visiting his mother in Hendersonville on Dec. 6, 1988, when he suffered a fatal heart attack. A friend wanted me to drive with him from Tuscaloosa to the funeral, “to pay our last respects,” as he put it. But it was a miserable day, sleeting and snowing, and I chose to stay home. I hoped there would be another occasion to help honor someone who moved so many of us who love music. Earlier this month, Orbison’s widow, Barbara, offered that opportunity. She’s backing a drive for a Roy Orbison commemorative stamp. The hope is that the Postal Service will make the announcement by April 23, when the singer would have turned 70. Celebrities like Bono, Dan Aykroyd, Pamela Anderson and Dwight Yoakam have weighed in with their support. So have U.S. Sens. Lamar Alexander and Bill Frist from Orbison’s adopted state of Tennessee. What may influence the postal officials more, however, is an outpouring from ordinary people who love Orbison’s music. There were some 4,100 signatures at this writing. It would be nice to have 10 times that many. If you think a stamp is a fitting tribute to Orbison, please sign it. The names will be presented to the 15-member Citizens’ Stamp Advisory Committee. Granted, there may be more pressing matters that demand our support. All the same, I hope the drive is a success. 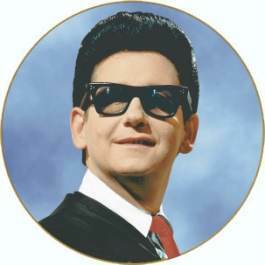 I can’t contemplate the thought of yet another rejection for talented, tortured Roy Orbison. I'm sorry to hear about Lamar's fight with cancer. I never saw Lamar without a smile, a joke, a laugh. He was one of the more upbeat people I ever knew. He knew how to have fun, and positively influenced the people around him. L-R Danny Bogen, Tommy Wyatt, Lamar Alley, Frank Tanton. and the Gold Nugget in Panama City back in 1970. L-R Larry Holmes, Frank Tanton, George Cheshire, Kenneth Griffith, Lamar Alley. This was the house-band for the Flamingo Club in Dothan back in 1972.